Speakers at the Advanced Skills Session on the second day of Global Education for Governments emphasized the responsibility of higher education institutions to develop and qualify students for future skills. "We see a real-time movement in labor market change across the world," said John Herlehey, Head of LinkedIn Middle East and North Africa. Speakers at the Advanced Skills Session on the second day of Global Education for Governments emphasized the responsibility of higher education institutions to develop and qualify students for future skills. 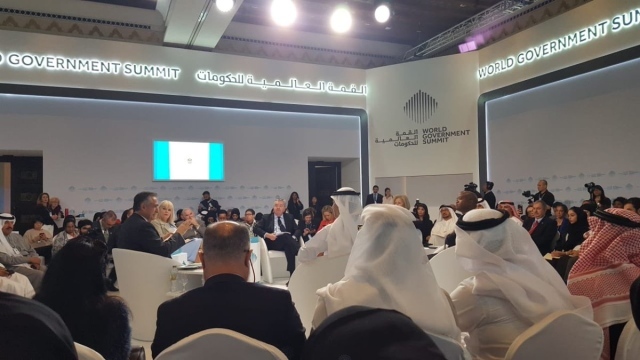 "We see a real-time movement in the global labor market, so we need flexible skills that will benefit the learner over the next 45 years," said John Hurley, president of LinkedIn Middle East and North Africa. The minister of state for higher education, Dr. Ahmed Balhul al-Falasi, pointed out that one third of our students currently will be involved in works that do not exist today. A member of the Jordanian Senate, Haifa Najjar, called for the need to redefine education inside and outside schools. University programs should focus on human identity, nurture imagination and skills, and it is necessary to link schools and universities. "Teachers and teachers must overcome the fact that they are information engineers to participate and provide opportunities for students to innovate. "We reform the education system through our culture, train students to different skills, and we must benefit from other experiences in developed countries," Najjar said. Soniker said three features of learning, is continuity, how to learn and solve problems, so we give up educational certificates and center on the skills, learning must be outside the classroom by 70%.